The Mercedes W08 car has underwhelmed at the Malaysian GP - and updates not delivering the anticipated step didn't help matters, especially in pure pace comparisons against the ever-improving Ferrari. 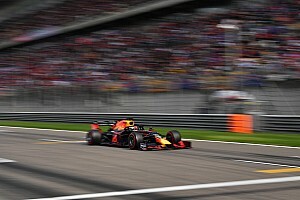 The end of season run-in puts an enormous amount of pressure on not only the drivers who are duking it out to take their own honours, but also the teams, as they look to arm their warriors with the best equipment they can. 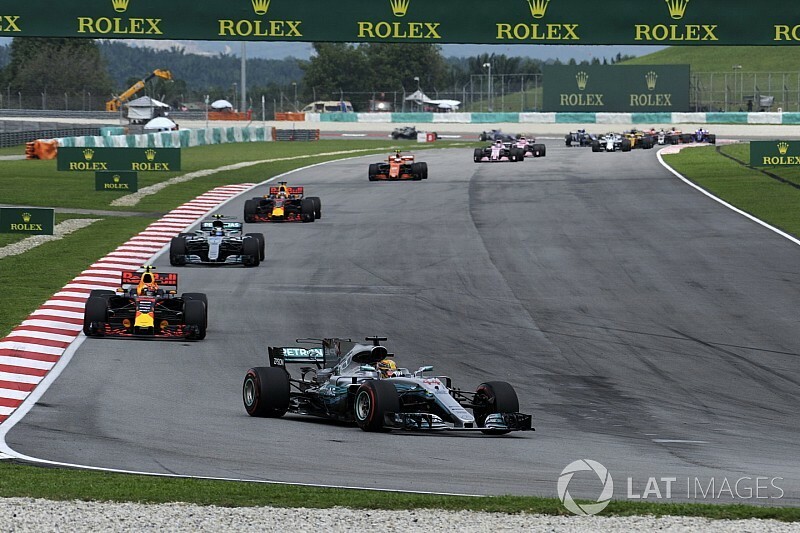 The scope of this years regulation change and stability going forward into next year's mean that the upgrades keep coming thick and fast, with the top teams delivering significant packages in Malaysia that will be carried forward into the final races and honed further throughout. The W08 is an evolution of the low-rake aerodynamic platform that we’ve seen Mercedes use for several years now, the team utilising ever more complex aerodynamic surfaces to work the airflow extremely hard. 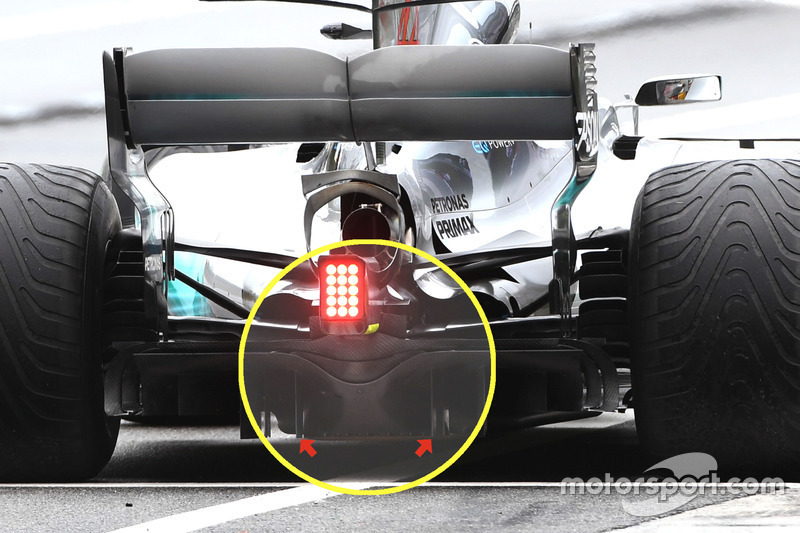 The latest updates build on this premise, making the airflow's routing even more tortuous, as it is ushered down the W08 to improve stability and downforce. 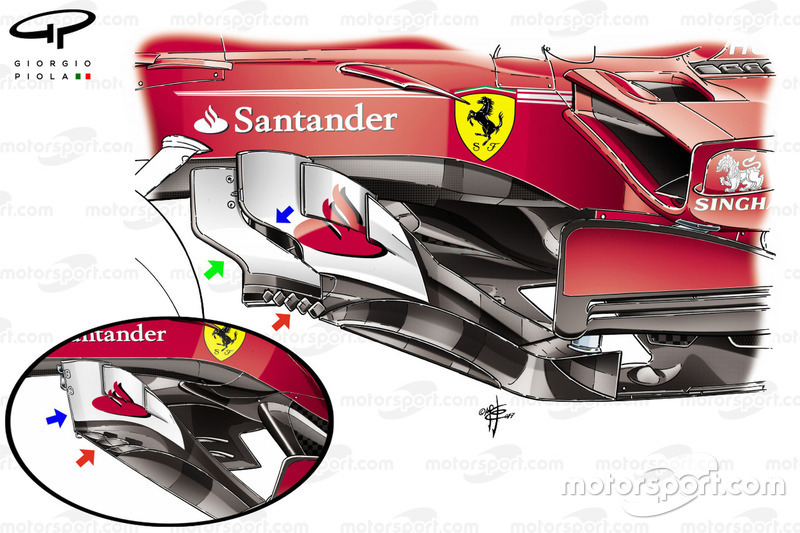 In preceding years, the front wing has been one of the go-to areas for development, with even the smallest of changes able to have a vast effect on surfaces and flow structures downstream. 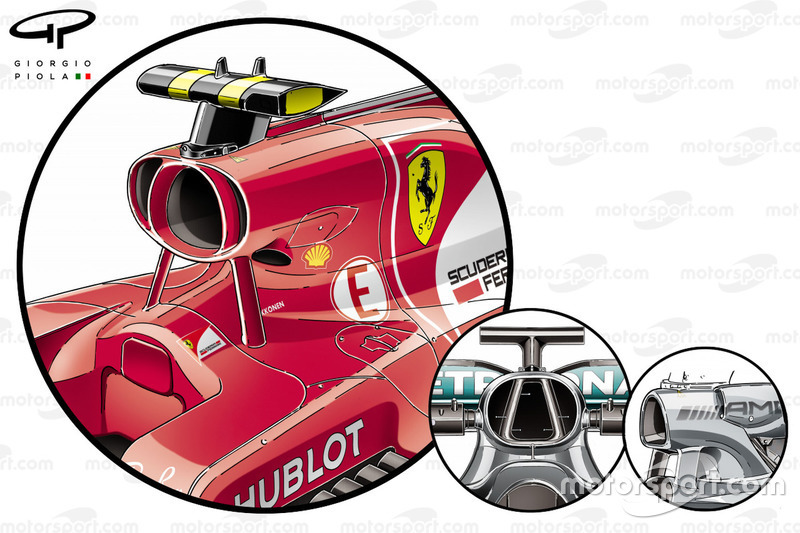 However, the freedom afforded in the 2017 regulations has changed that story somewhat, with development at the front a little more stagnant, with more time devoted instead to pursuing complex designs ahead of the sidepods and floor. 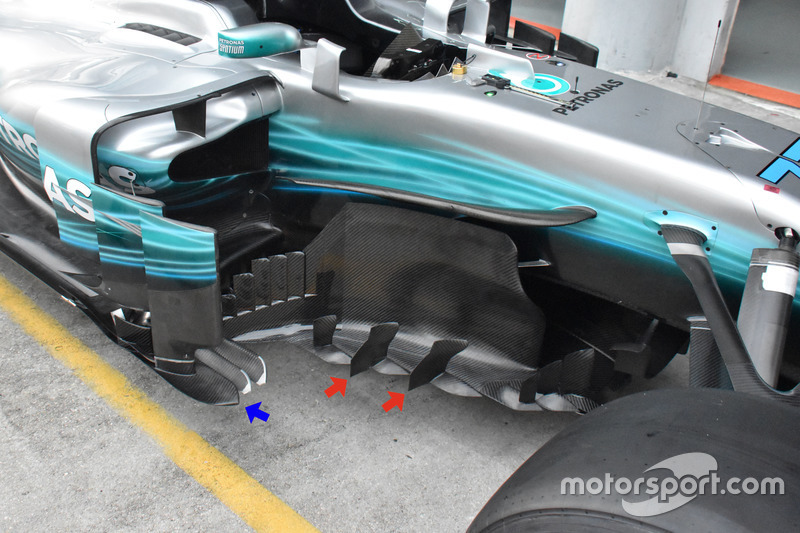 As part of the package of updates introduced in Malaysia, Mercedes has made a small but perhaps meaningful change to its front wing design, with the leading edge of the mainplane swept upward to encourage airflow under the wing (highlighted in yellow), guided by the now-pronounced strakes that reside beneath. This small revision changes the wing's pitch sensitivity, altering its ability to create downforce and guide the airflow at varying speeds and angles. 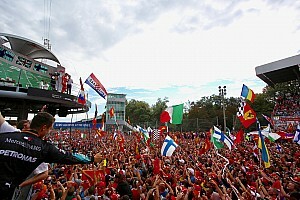 The ‘cape’ introduced by Mercedes in Spain and subsequently revised in Austria has been altered once more, with the leading edge of the device widened. This will have a marked effect on the oncoming airflow as the device scoops up airflow and guides it down the rest of the car. An immensely complex area, the W08’s bargeboards feature no less than 20 surfaces, all of which have to work harmoniously at various pitch and yaw angles to provide maximum performance both locally and onward to other surfaces. The vertical cascades mounted on the edge of the serrated floor strakes that were introduced in Spain have been modified as part of this new package, reducing their height while also being angled more aggressively (red arrows). Meanwhile, the axehead, which is normally split into four serrated surfaces, has been reduced to three, with outermost two surfaces combined (blue arrow). 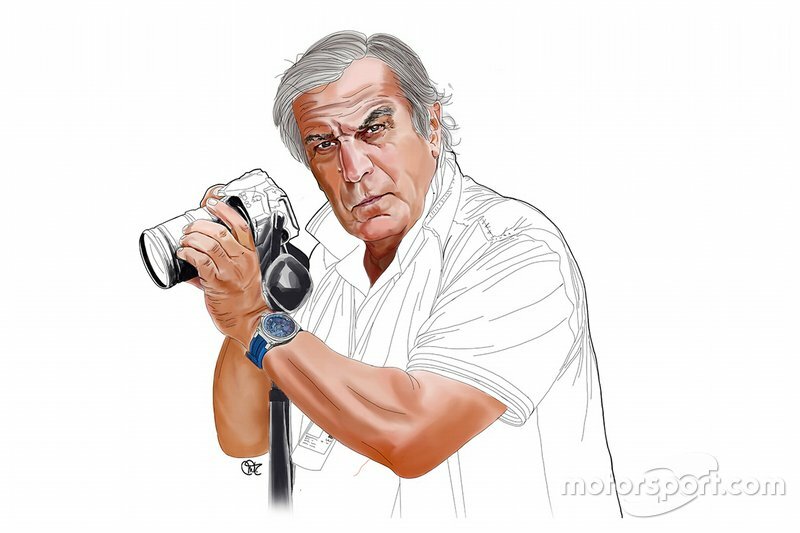 Again a nominal change, but one designed to work in tandem with the other changes was the inclusion of these innermost strakes as the designers sought to improve the performance of the diffuser. 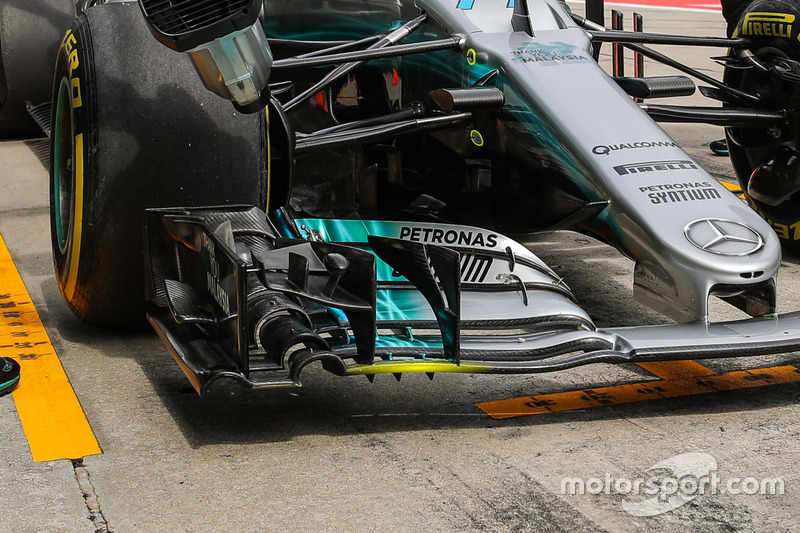 Surprisingly, Mercedes opted to run at almost full downforce when it came to the rear of the car, sporting a similar level of rear wing angle to that used in Singapore, albeit with the upper flap's outer corners trimmed for drag reduction. This was paired with their two-tier monkey seat, used to activate the aerodynamic connection between the diffuser, exhaust and rear wing at lower speeds, which is likely the overall reasoning for choosing the package - sacrifice some high-speed balance and drag for a low-speed gain. 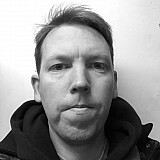 Struggling to understand where the pace had disappeared to during FP1 & 2, Mercedes decided to conduct back-to-back testing during FP3 - and with neither driver full of confidence, with the new or old package, the pair decided to split their strategies as Bottas installed the new package and Hamilton returned to the old one. Failures and drama aside, the Scuderia delivered a package of updates for the SF70H in Malaysia that appear to have given it a substantial boost. 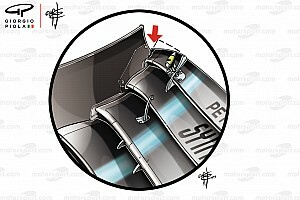 Last updated in Hungary, the bargeboards were given a makeover, with the leading edge of the main surface revised (blue arrow) to reflect the introduction of a new boomerang-shaped pre-board (green arrow). 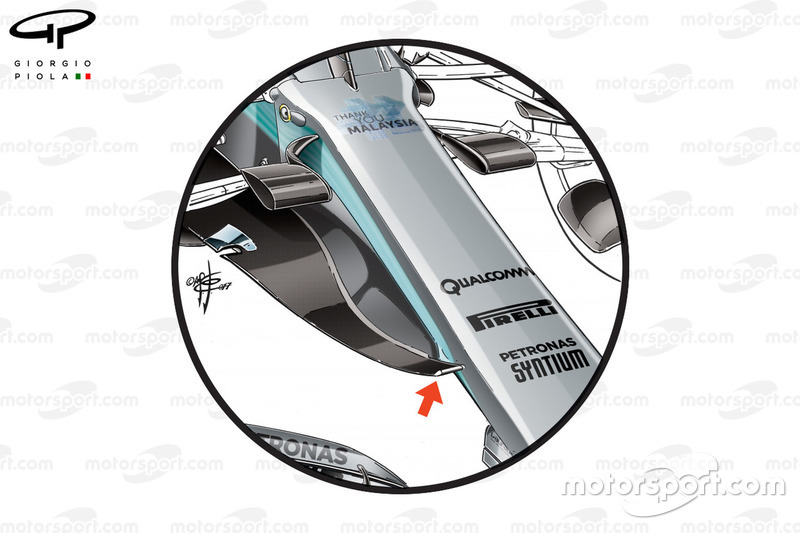 Affixed at its base is a row of mini-winglets (red arrow), which along with the main changes alter the behavior of the airflow being received, improving flow around the sidepods and the floor. Packaging of components in Formula 1 is of huge importance, as one design decision inevitably cascades into another, all of which require careful planning in order that they aren't damaging to aerodynamic performance. 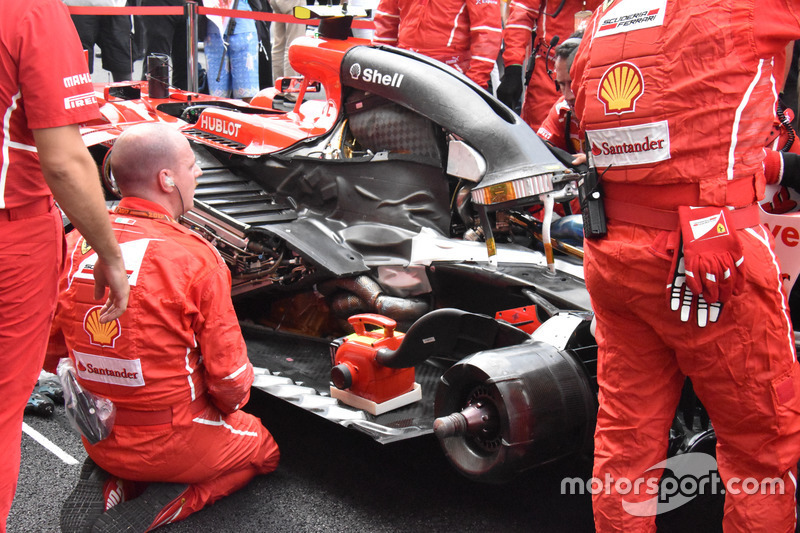 Ferrari opted to introduce a new airbox layout in Malaysia, as internally components were moved around, pending the arrival of a new specification power unit. 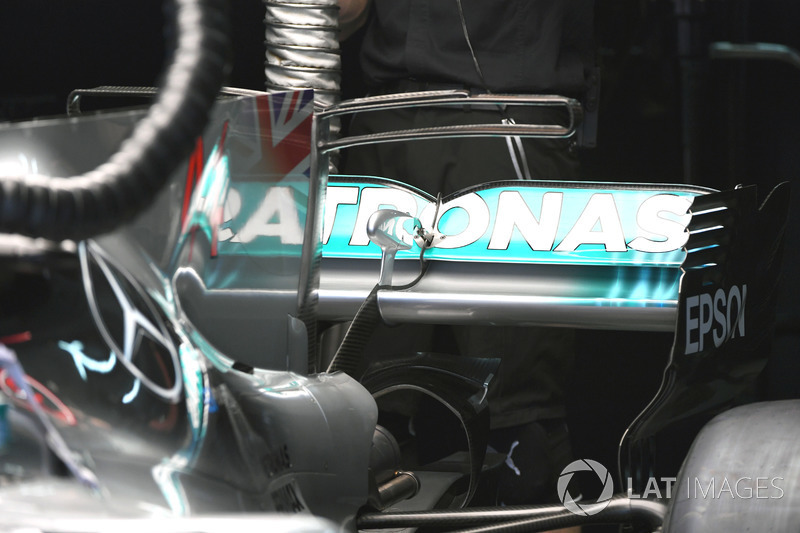 This arrangement also creates separation, with fresh airflow delivered to the engine in isolation to that delivered to the ancillary coolers, something we’ve seen Mercedes do in various ways since the start of the hybrid era (W07 and W05 inset). Bonded to the side of the airbox, these ‘ears’, complete with their own internal ductwork, deliver a supply of air to the cooler mounted above and behind the engine.